This rug delivers the WOW factor. We love the grace and scale of the pattern and the colors are vibrant. The first pass with the vacuum filled it chock full of carpet fuzz, and a week later there is plenty more fuzz. We hope that feature will dissipate over time. It feels great underfoot (we also got the felt pad). Bring a retro vibe to your home with this Addison Malia bohemian area rug, crafted from polyester and acrylic yarns for softness and style. 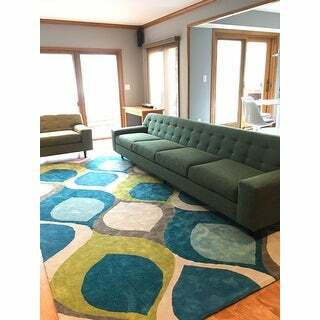 The bold, hourglass pattern features lush colors of teal and lime green with accents of grey, light blue, and off-white. 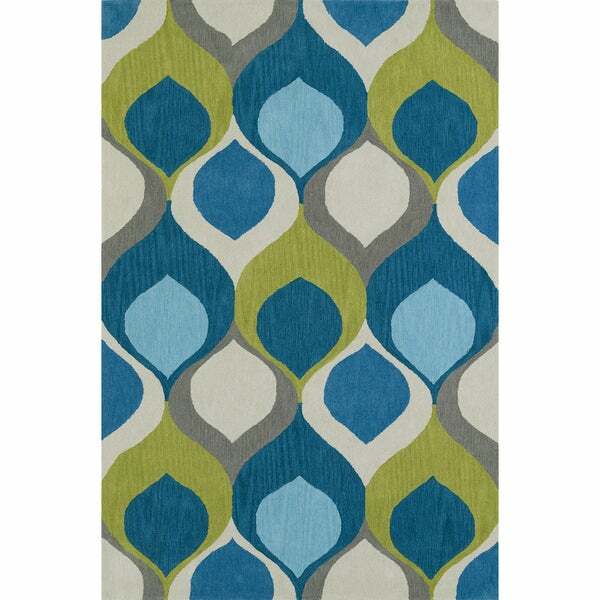 The easy-care design makes this rug the perfect choice for high-traffic areas. Tip: We recommend the use of anon-skid pad to keep the rug in place on smooth surfaces.